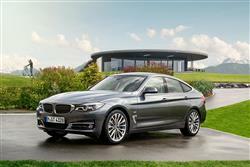 Find out everything you need to know on the new BMW 3 Series from independent vehicle review website Car And Driving. You can watch the video review to the left to see more of the car or read their written review below to get a true insight from an expert in the automotive industry. The BMW 3 Series Gran Turismo is a niche operator that might well have its work cut out. Jonathan Crouch looks at the improved entry-level 318d diesel version. Although it's a useful size, the BMW 3 Series Gran Turismo is likely to remain a rare sight on British roads. Both looks and handling divide opinion but it might be an interesting choice of you need more versatility than is offered by the saloon but don't want to get yourself an estate. Arguably, it makes most sense in base 318d diesel form. Here, we check out the recently improved 150bhp version. Let's get one thing straight from the outset. Most right-thinking people love the BMW 3 Series and you can see why. It drives brilliantly, it's well packaged, seems to extract unfeasible economy figures for the performance it delivers and whole life running costs are smaller than the upmarket badge on the bonnet would suggest. That's why it's a routine fixture in the top ten UK best sellers on a regular basis in saloon and 'Touring' estate bodystyles. Now there's another way. The five-door 3 Series Gran Turismo is a Three that's been supersized. It runs on a long wheelbase chassis to help alleviate that persistent 3 Series grumble, namely that there's not enough room in the back, especially if you're travelling five-up. But is there really a space in the market for this? Won't an X3 or a 5 Series fit that particular bill already? BMW seems to think there is, although it's a fairly safe bet that this car wasn't delivered with a particular eye to the UK market. Let's try it in volume 318d diesel form. This facelifted 318d 3 Series GT gets a minor power upgrade - from 143 to 150bhp - but otherwise, things are much as before. We can't really think of any car that's ever been sold whose driving dynamics were improved by making it longer, higher and heavier, so if you're after the sharpest BMW 3 Series steer, the GT isn't it. Still, there are any number of 3 Series buyers who aren't wholly interested in how a car handles in extremis and for them, the 3 Series GT might well be just the ticket. Most customers will want the 318d's 2.0-litre diesel engine. Even in this, it's entry-level state of tune, it offers very respectable performance, getting to 62mph in 9.3s on the way to 130mph The GT bodystyle's additional height and weight (at 1.61 tons, it's 165lb heavier than the equivalent Touring estate bodyshape) required more of BMW's chassis engineers and their answer has been to dial in plenty of roll stiffness, which means that the car absorbs road imperfections in a less supple fashion than a 3 Series saloon. This is exacerbated by choosing a larger alloy wheel option or going for the optional M-Sport suspension pack. Changes made to the outside of this improved 3 Series Gran Turismo model are subtle; smarter adaptive LED headlamps feature with an altered grille surround, the air intakes are revised and there's a new full LED rear light design. Inside, extra chrome and glossy materials for the air vents and dash aim to lift the ambience. BMW's improved Professional Navigation system is also available, with a redesigned menu and Bluetooth as standard. Otherwise, things are much as before. The styling isn't perhaps, quite as cohesive as it is with the 3 Sries saloon and Touring bodystyles, but you have to say that the slightly larger dimensions on offer here have been put to extremely good use. The GT is significantly bigger in the back and the luggage bay is even bigger than the Touring estate at 520-litres, and becomes positively cavernous when the rear seats are folded to free up 1600-litres of stowage. This being BMW, you tend to expect extremely clever packaging, so it's a bit of a disappointment to find the seat backs don't tumble flat, and while each section of the split backrest descends with a pull of a handle, there's no slick system to pop it back up. That's down to you. Where BMW has boxed clever is in allowing the rear seat backrest to be adjusted into 15 different positions across 19 degrees, which means that you can find a decent compromise between luggage and passenger space. Three adults can quite easily sit in the back of the 3 Series GT - which is not something you'd enjoy in a normal 3 Series saloon, although there is a transmission tunnel to consider. All GTs get electric hatchbacks with one of those releases that works by waving your foot under the bumper. Prices for this 150bhp 318d sit in the £32,000 to £34,000 bracket, depending on the spec you choose - there's a choice of 'SE', 'Luxury' and 'M Sport'. Essentially, you're looking at a model for model saving of around £1,100 over the 190bhp 320d, the next diesel variant up in the range. It's worth finding another £1,400 for the 8-speed auto gearbox as it suits the character of the car. The 3 Series GT range shares the same trim structure as the saloon models, although you may not be immediately familiar with some of the model designations. The trim walk up now goes SE, Sport, Luxury and M Sport, with the entry-level and range-topping variants expected to account for the lion's share of sales. Equipment levels are relatively good for a German car. The popular SE gets 17-inch alloy wheels, automatic air-conditioning, Bluetooth, a BMW Professional radio with 6.5-inch colour screen and iDrive, keyless starting, a USB port, a multi-function leather steering wheel, cruise control and automatic boot opening. Sport and M Sport variants are targeted at the more enthusiastic driver and the Luxury variant offers an elegant, plush feel inside. The asking price is around £1,700 more than an equivalent 318d Touring and around £3,000 more than a 318d saloon, so choosing a GT isn't going to be some showroom whim. We'd be tempted to go for the M Sport trim level, if only because it makes the car's styling look a bit less lugubrious. Although the upfront price might be a bit of a hurdle for some, the 3 Series GT looks as if it will prove a fairly cost-effective car to own. The 318d will be the model most Gran Turismo customers plump for and it's not hard to see why. Up to 61.4mpg is attainable, with emissions pinned down to 121g/km. All variants come as standard with an Auto Start-Stop system, Brake Energy Regeneration and the ECO PRO function to aid with economical driving. Advanced ancillary units, such as the on-demand coolant pump and the electronically controlled oil pump, further enhance intelligent energy management. The BMW 3 Series Gran Turismo won't be a car that'll suit everyone in this market. Yes, it offers more space and that will appeal to countries such as China and the USA where estate cars aren't perceived as premium items, but the raised ride height and ride and handling changes won't suit those who love the sharp-handling saloon version. But these aren't the people targeted by this particular car. There is, after all, a lot to like about the 3 Series GT, especially in this lightly improved guise with its extra infotainment features and slightly smarter look. As before, there's acres of room in the back, the lovely ride and the versatility of that fifth door and huge luggage bay. And the 318d diesel engine we've looked at here suits the car perfectly with its easy, willing torque matched to impressive running cost efficiency. It's a 3 Series for families. On that basis, the GT is worth its place in the range.